Mickey Mouse is one of the most famous cartoon characters among kids around the world. It is also the first cartoon character to receive a Star on the Hollywood Walk of Fame on his 50th anniversary in 1978. Mickey Mouse made his official film debut on November 18th 1928, in the film “Steamboat Willie”. 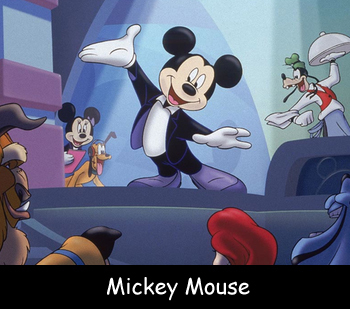 Mickey Mouse was not created as a verbal character as his creation was during the era of silent movies. Mickey wears white gloves so that his hands can be distinguished from his entire body. The two people who gave the voice overs for Mickey & Minnie were actually married in real life. Throughout their career, Mickey has worn over 175 outfits and Minnie has worn more than 200. The complete name of Mickey is Michael Theodore Mouse. Mickey and Minnie are married in their private life. Mickey Mouse has been a prominent feature at Disney Parks since Disneyland park opened its doors in 1955. Walt Disney also received an Oscar for creating Mickey Mouse in 1933. The Partners Statue, a sculpture of Walt and Mickey holding hands debuted at Disneyland Park on Mickey’s birthday in 1993.